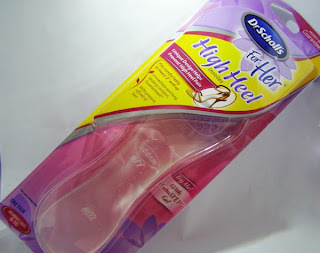 Another exciting installment in my Influenster series! I'm actually enjoying testing all these things out, since I would not have tried this stuff without prompting. And honestly, who doesn't enjoy trying new stuffs? Disclaimer: I have bad feet. When I was 20, I developed tendonitis in my foot. I hadn't done anything crazy, but my foot was swollen to twice it's size. After seeing two different doctors (one of which told me I had broken my ankle) it was discovered that I have high arches. How high, you wonder? So high that the muscle had pulled spurs in both my heel bones. At the tender age of 20, my days of flip flops and heels were pretty much over. I saw a foot doctor who fit me for custom orthotics. Anytime I have to be on my feet for an extended period of time, I wear good sneakers with my fancy inserts to avoid crippling pain and swelling. Sneakers don't exactly mesh with nice dresses...most of the time. I was understandably intrigued to try out the high heel inserts. If they could buy me an hour or so of comfortable wear, then I would be buying a set for every pair of heels I own. I broke open the package like it was Christmas morning. 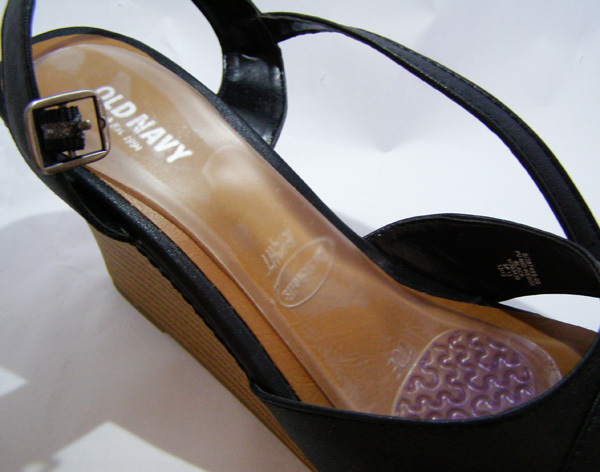 The inserts are rather small, and appear to be the perfect shape for heeled shoes. They did have a plasticy smell, but I imagine that will fade after a few hours. They are also pretty squishy, with a noticeable bump in the arch support area. Yay! These might actually touch my arch while I'm wearing them! I was worried about how they'd stay put, but I found they have a gentle adhesive on the backsides. It's strong enough to keep them in place, but not so sticky that it'll leave a residue or be hard to reposition. After wearing them for a while in a pair of three in wedge heels, I have come to the sad conclusion that they are not my fix. But I think for a normal person, with normal feet, they will perform beautifully. They are comfortable enough, and definitely make the ball of my foot less sore after standing. But I need far more arch support than anything off the shelf can offer. I am definitely not the target audience for these. However, I will be checking out these for my flat dress shoes. This package was hard to get into. Maybe it was just me. it in place, but not enough to leave residue! In my shoe! 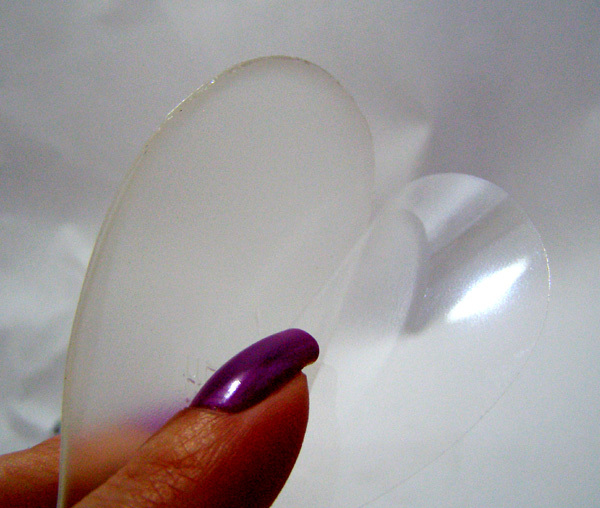 Nice and squishy, but not enough for me! TL;DR these didn't work for me, but would probably work wonderfully for a normal person. But I was impressed enough that I will be checking out other items in the "For Her" line.